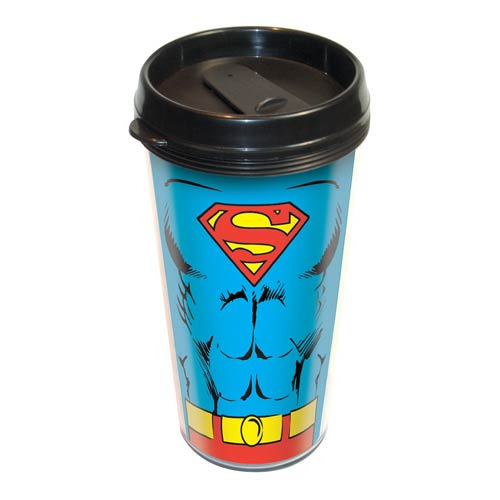 Keep your hot drink nice and insulated with help from the Man of Steel! This Superman Uniform Travel Mug features the iconic uniform of classic Superman. It's a must-have for fans of Superman! Holds up to 16 ounces of liquid. Pint glass holds up to 16 ounces of liquid. Hand wash only. Not dishwasher safe.